Erie is home to a hub of healthcare facilities renowned for their care and treatment programs, offering many excellent options for Erie County residents. There are seven hospitals in Erie County, with facilities that provide acute, rehabilitation, specialty, federal and pediatric care. UPMC Hamot, Saint Vincent, Millcreek Community Hospital, and Corry Memorial Hospital are all considered acute care facilities. Erie has two specialty facilities: HealthSouth Rehabilitation Hospital of Erie and Select Specialty Hospital Erie. The Veterans Affairs Medical Center provides services for veterans, and the Erie Shriners Ambulatory Surgery Center and Outpatient Specialty Care Center offers pediatric care. 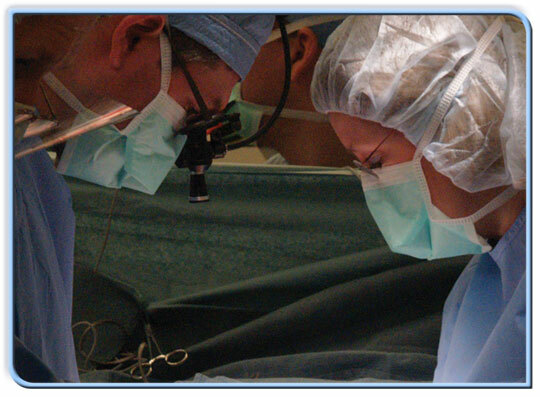 Focused on providing same-day surgical care, including diagnostic and preventive procedures are five Ambulatory Surgery Centers, three affiliated with acute care hospitals and two that are independent. With fourteen licensed home health agencies to choose from, residents are enabled to live as independently as possible. These agencies provide services to ill, disabled or vulnerable ­individuals in their homes or places of residence. Twenty-one licensed nursing homes provide care for individuals who need constant care or significant assistance with daily living. And eight licensed hospice providers give comfort and support to patients and their families as they approach the end of life. In 2010, approximately 90% of Erie County’s population had health insurance coverage. For those ­uninsured, Community Health Net offers exceptional healthcare, regardless of financial situation. Not only do Erie’s healthcare facilities provide excellent services to patients, they also provide a variety of employment opportunities for the community. There are hundreds jobs in the healthcare field at every level, from behind the scenes administrative and clerical positions to hands-on doctors and specialty surgeons. As of 2011, 10 of the 20 fastest growing career fields are within the health-care industry, according to the United States Bureau of Labor Statistics. Erie is no exception. Erie is both proud and fortunate to have this wide range of healthcare services and benefits within our community.